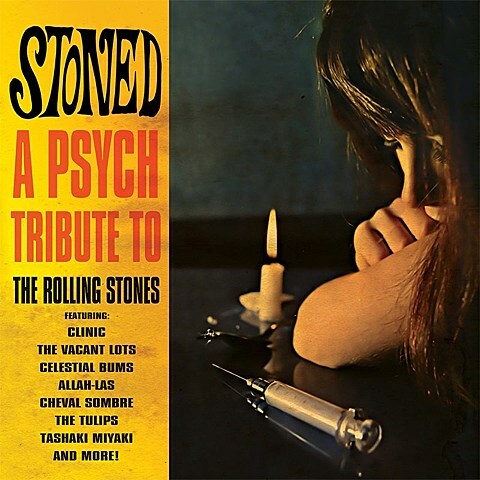 A bunch of indie-psych bands got together to pay tribute to one of rock’s longest-running bands for Stoned – A Psych Tribute To The Rolling Stones, which came out this week via Cleopatra Records (order yours). The comp features Clinic, The Vacant Lots, Tashaki Miyaki, Allah-Las, Pure X, Cheval Sombre and more. That’s the cover art above. Check out the full tracklist, and listen to Allah-Las’ take on the album’s namesake song, “Stoned,” below. In other Stones news, the excellent 1970 documentary, Gimme Shelter, which (among other things) highlighted the tragedies that occurred at their 1969 Altamont concert, will be available on Netflix starting this February. If you’ve still yet to see it, this is an opportunity worth taking. See what other new arrivals Netflix will have next month over at Huffington Post. UPDATE: It’s actually a 2013 drama called Gimme Shelter, not the Rolling Stones documentary.